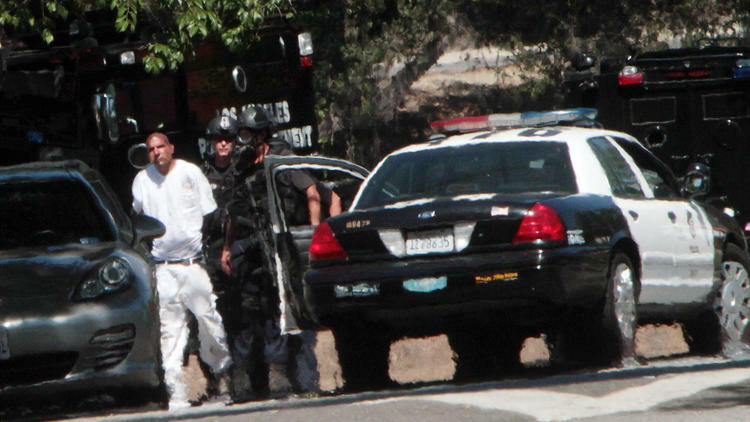 Earlier this week in Los Angeles, a gun toting madman was apprehended after a 5 hour long car chase/manhunt. The chase began at about 10:15 a.m. Monday morning when police attempted to arrest convicted felon Nolan Perez, 41. According to reports, Perez was wanted by police after being charged with 7 counts of felony stalking and criminal threats against his ex-girlfriend. In the past, Perez had also been convicted for domestic violence, negligent discharge of a firearm, and firearm possession as a felon. 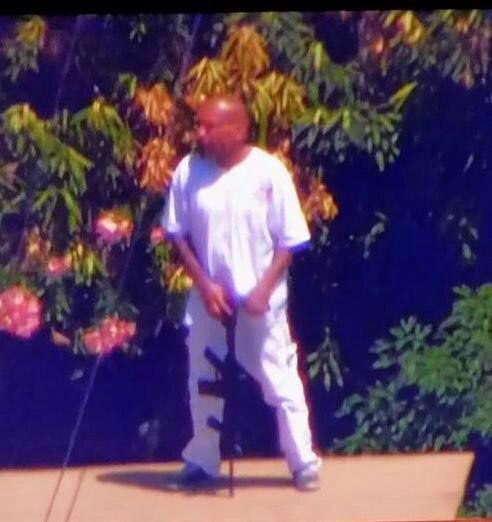 Perez, however, refused to pull over his red Nissan Altima and proceeded to lead police on 45 minute chase along several North Hollywood freeways, hitting speeds over 100 miles per hour. During the chase, Perez aimed his high powered assault rifle out of his car window at police. The entire adrenaline pumping scene was caught on camera live by the local news station, too (check out the video below). After almost an hour of weaving in and out of traffic, Perez was forced to flee from his vehicle after police had shut down all nearby freeway on-ramps. When he evacuated the vehicle, Perez grabbed his weapon and ran along the outside of a school. Fortunately, the authorities had already placed a lock down of all schools in the area. With nowhere to go, Perez fled down Magnolia Street and into the nearby neighborhoods, weaving through backyards. Then, as is often seen in the movies, Perez climbed a rooftop and began jumping from one to another. Finally, he climbed down into one and holed himself up. Police surrounded the area. They sealed off several blocks and evacuated nearby homes. Soon enough, the SWAT team arrived on the scene. After 4 hours of being barricaded inside of the home, police decided that it was time to fire tear gas into the home. Almost immediately, Perez stumbled out from the home with hands up before lying face down on the ground. Seven SWAT officers converged on him and took him into custody. This entry was posted in Culture and tagged car chase, Magnolia Street, Nolan Perez, North Hollywood, police, red Nissan Altima. Bookmark the permalink.